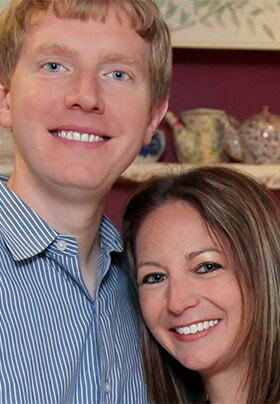 Prior to moving to Chatham, MA and becoming Cape Cod innkeepers, Jill and James Meyer both grew up in Wyckoff, NJ; they met in high school and have been “dating” ever since. James majored in hospitality management at Boston University and went on to work his way up in three years from front desk receptionist to manager of three departments at the prestigious Boston Harbor Hotel. Jill received her business degree in entrepreneurial studies and marketing from Babson College and gritted her teeth in the corporate world, while constantly dreaming about owning her own business. 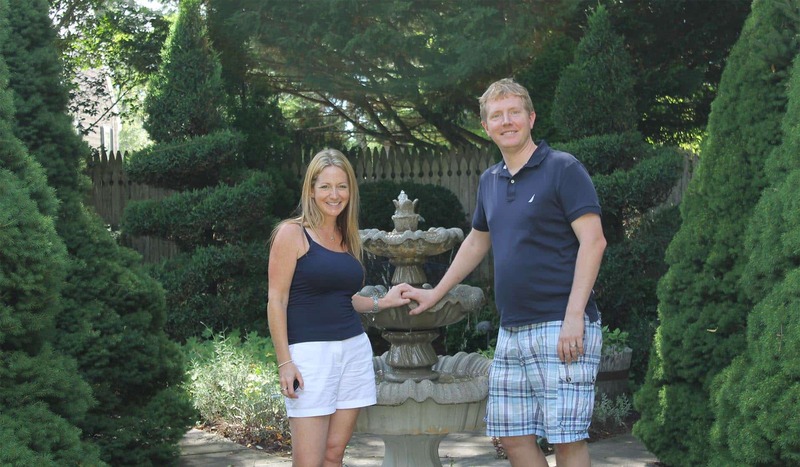 That dream became a reality when the couple impulsively bought the Carriage House Inn just next door, learned the ins and outs of innkeeping, and tripled the inn’s occupancy in two years. As young innkeepers with a passion for the industry, they felt it was time to move on to a bigger property and the Captain’s House Inn seemed like the perfect fit. Now, they are happily welcoming guests and continuing to build the business that the previous owners established. When they are not at the inn, Jill and James juggle a busy family life, as they have five children who keep them on their toes! 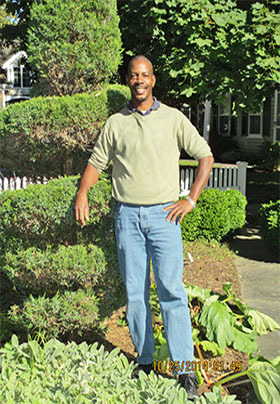 In his spare time, James enjoys cooking and is a die-hard New Jersey Nets fan. Jill is a passionate shopper and enjoys eating James’ delicious meals. She is also a Justice of the Peace in Massachusetts and performs the ceremonies for the inn’s small weddings (see the Elopement Package). Together, they have traveled to thirteen European countries, Australia, New Zealand, Dubai, Ethiopia, and 47 States. When they’re not traveling or innkeeping, they love a good snowstorm, collecting wine, and scoping out the best activities and restaurants on the Cape for their guests to enjoy. Jill and James look forward to welcoming you to the Captain’s House Inn and making your stay a memorable and enjoyable experience. Jeff Wilson leads our kitchen staff in planning and producing our highly praised gourmet breakfast and afternoon tea menus. Prior to joining the Captain’s House Inn team, Jeff owned and operated one of Cape Cod’s finest Italian eateries. While he enjoyed six successful years of restaurant ownership, he is delighted to bring his talent to a different environment which allows him to spend more time with his wife, son, and daughter. With over twenty-five years of culinary experience, Jeff continually wows our guests with innovative dishes and the upbeat energy he brings to the kitchen. When not cooking, Jeff enjoys taking advantage of some of Cape Cod’s many outdoor pursuits, particularly kayaking and fishing. Guests can stroll through our open kitchen to catch Chef Jeff in action, often cracking a joke or two as he works! 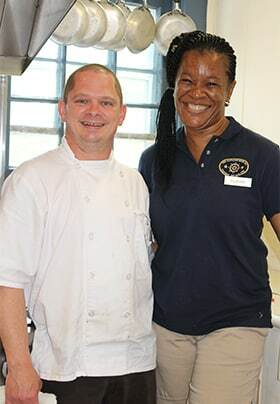 Claude Edwards is the wife of Dan (our maintenance man) and is our magnificent assistant chef. A talented cook with an eye for detail, Claude is part of our seasonal staff and hails from Jamaica. Claude has been at the Captain’s House Inn for more than 10 years and holds the distinction of being the longest serving member of our team. Our student staff changes every six to ten months, depending on the university program. 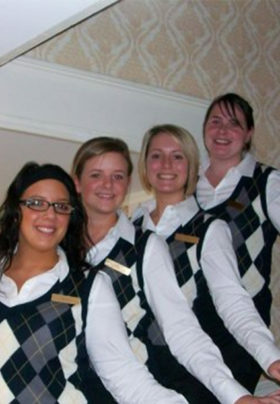 These young people bring an enthusiasm and energy to the inn that our guests enjoy. We offer them the opportunity to work in America, with a lot of public contact in a small business environment. We enjoy their company and so do our guests. Our Jamaican staff members leave their homes and family to work with us for eight months of the year, while our small core housekeeping team remains with us year-round. They take great pride in their work. Without them, we could not offer the level of service we do, or continue to maintain the high standards we have set for ourselves. Besides their great work ethic, they offer us sunny smiles and upbeat attitudes every day. Heading our grounds staff is Dan Edwards, maintenance man and gardener extraordinaire. Innkeeping is not all warm and welcoming smiles, beautifully presented breakfasts, and excellent service. It also includes attractive, well-maintained grounds; toilets that flush without overflowing; and lights and televisions that work when you press the switch! 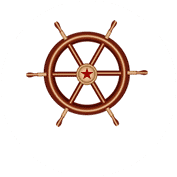 We are grateful to all our staff – and their teamwork -for helping us make the Captain’s House Inn known worldwide for its outstanding service and hospitality.